One of Pakistan’s foremost women activists, Farida Shaheed leads the Women, Law, and Status program at the Shirkat Gah Women’s Resource Centre. Farida was one of the first in Pakistan to promote the need for 33 percent reserved seats for women in direct elections, a measure that has been implemented at the district and other levels. Since 1986, she has been part of the core of the international network, Women Living under Muslim Laws (WLUML), and has helped many women whose rights and/or lives are endangered by discriminatory laws. One of Farida Shaheed’s happiest memories is the reaction of men from Pakistan’s conservative North West Frontier Province to a legal awareness session on women’s family rights. They urged Farida and her colleagues from Shirkat Gah, a collective that works for women’s empowerment, to conduct a similar session for women posthaste. Over the past three decades, Farida’s life has been enlivened by such moments. At other times, particularly in the 1980s, she has been monitored and questioned by intelligence agencies. Shaheed was then a member of the Women’s Action Forum (WAF), mandated to resist the retrogressive policies and laws introduced in the name of Islam by Zia-ul-Haq (1977 to 1988). Farida and her colleagues have faced pressure from hostile local elites, and threatened with death (although skilful strategizing allowed them to operate even when other groups had to stop working). Her greatest success, she feels, has been that more women now know of their marital rights and can negotiate more spaces and rights, step out of abusive matrimony, register their marriages, and insert rights within the marriage contract. 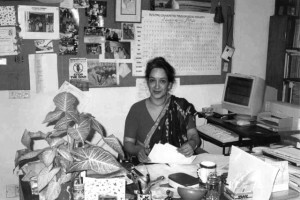 Since 1986, Farida has been part of the plinth of Women Living under Muslim Laws (WLUML), an international network that provides information, solidarity, and support to women whose lives are shaped, conditioned, or governed by laws and customs ostensibly derived from Islam. Farida has personally helped two women leave Pakistan to circumvent death threats by well-connected families. Shaheed and Khawar Mumtaz wrote “Women in Pakistan: Two Steps Forward, One Step Back?”, which documents the Muslim women’s movement from the turn of the 20th century to today. It received the Prime Minister’s Award in 1989. Shaheed, who is in her early 50s, lives in Lahore with her educationist and journalist husband.